My apologies. This is a blog from an astonishingly angry author. Today the Bookseller announced that Amazon is having a great new sales campaign. In an October Kindle promotion, they will be aiming to sell vast numbers of books. This is brilliant news, isn’t it? Amazon will do what they do best, push huge numbers of books at a massive discount. Book sales will shoot up. Not mine. Because I don’t have many as ebooks yet. And do you know what? I am exceedingly glad. Yes. I am glad to miss out on the opportunity of selling books. Read this article: http://www.thebookseller.com/news/amazon-asks-90-discount-new-kindle-campaign.html – yes, the clue’s in the title. Think back to when you were a child opening your Christmas or Birthday presents. What mattered to you the most? Was it the packaging, or was it the content? If your preference was for the packaging, you need some serious one to one time with a psychiatrist!!! 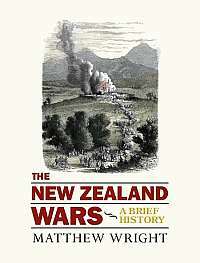 As a typical example of packaging, the above cover for Matthew Wright’s – The New Zealand Wars – A Brief History, could hardly be said to be attractive to the eye. What sells the book to students of New Zealand’s history is its content and Wright’s reputation as a serious writer, not what the cover looks like. 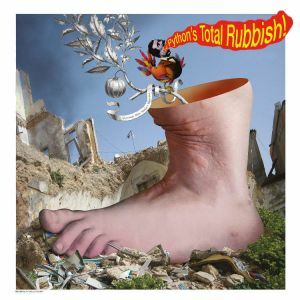 Why Is It That Total Rubbish Always Sells? When it comes to book sales, more ofen than not, total rubbish sells to the detriment of quality? Of all my books, the quality ones from my point of view stand apart from the rest as evidenced by the four and five star reviews they attracted. Yet for some inexplicable reason they simply fail to appeal to the majority of readers. Why is that I wonder? End of February Victoria Strauss of the ‘Writer Beware’ blog published an informative and interesting warning about the copyright claiming on edits by a publisher. Thank you very much, Victoria, for all your hard work, your research and your willingness to share all these red flags with us! It’s not super-common, but I do see it from time to time in contracts that I review, primarily from smaller presses: a publisher explicitly claiming ownership of the editing it provides, or making the claim implicitly by reverting rights only to the original manuscript submitted by the author. Let’s face facts – these days many people simply can’t be bothered to read a book, especially here in the UK, particularly if its an e-book! Another prophetic post of mine from days of yore. There is an old saying – “you can lead a horse to water, but you can’t make it drink.” The same applies when it comes to asking people to read your books, especially here in the UK where e-books still take a back seat to their paperback and hard cover cousins. Good point – why do we write??? ?